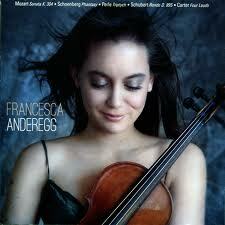 With this recording, the remarkable young violinist Francesca Anderegg set herself a prodigious task: to “show the ways in which the music of modernist composers Schoenberg, Perle, and Carter share the lyricism and expressivity of Mozart and Schubert.” Not all listeners will be convinced. However, she does succeed at making powerful arguments for each of the pieces on its own terms, and I was especially impressed with her ability to tease the expressive nuance out of Schoenberg’s Phantasy, op. 47. She is accompanied brilliantly by Brent Funderburk. Originally issued in 1999, this disc marks the welcome return to market of one of the gems of the Gothic Voices catalog, a collection of works by anonymous composers of 14th-century England. Plainchant alternates with pieces of surprising consonance and more harmonically astringent works that bring to mind the Ars Nova style that was in the ascendant across the Channel at that time. The ensemble’s tone is a thing of burnished loveliness throughout. 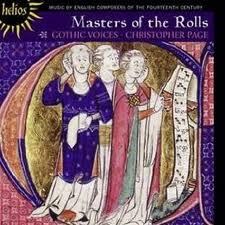 Highly recommended to all early music collections. 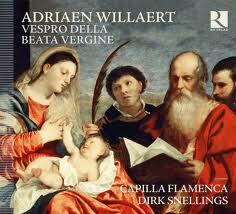 Moving from the rudimentary polyphony of late Medieval England to the Franco-Flemish style of the high Renaissance, this disc illustrates how Franco-Flemish compositional techniques were transplanted to Venice by Adrian Willaert, whose polychoral Vespers for the Virgin Mary predates Monteverdi’s more famous work, also written in Venice, by more than 50 years. Willaert’s setting is far less lush and elaborate (on this recording, a capella vocal pieces alternate with organ interludes), but no less beautiful, and Capilla Flamenca’s singing is stunningly sweet and colorful. 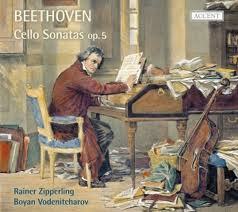 Another excellent choice for any early music collection. Mendelssohn contemporary Louis Spohr was not only a violin virtuoso but also a pioneering conductor (one of the first to use a baton, as well as the inventor of both rehearsal letters and the violin chinrest) and a composer hailed in his time as “the first composer of the day, without a possible rival.” Does anyone play his music today? Not really, no. 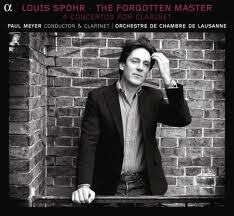 So this recording of Spohr’s four clarinet concerti by the great clarinetist Paul Meyer (leading the Lausanne Chamber Orchestra) is welcome not only as a reminder of Spohr’s importance as a composer, but also as a pure listening experience, and should be acquired by all classical collections. “Carlo who?” you may well ask, and you would not be alone. Although Zuccari studied with Gasparo Visconti and traveled around Europe as a violin virtuoso, he didn’t leave much of a legacy; his name is mostly forgotten today and he left behind a rather meager collection of compositions, most of them violin sonatas. 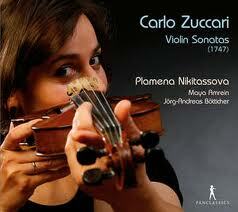 This charming disc makes no powerful argument for Zuccari’s greater significance, but is a thoroughly enjoyable listen, thanks mainly to Plamena Nikitassova’s animated and elegant playing style. For comprehensive collections. The most enduringly popular of Johann Sebastian Bach’s many musical sons, Carl Phillip Emanuel is responsible for some of the most engaging music of the classical era. 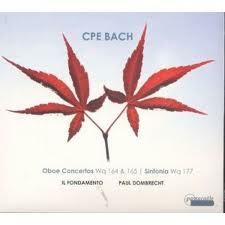 Oboist and conductor Paul Dombrecht leads the period-instrument ensemble Il Fondamento in this very fine program of two oboe concertos (actually transcriptions of harpsichord concerti written in Berlin in 1765) and one of Bach’s 18 sinfonias, this one also written in Berlin about ten years prior to the concerti. The timbre of the baroque oboe used in this recording may not be to everyone’s exact taste, but the performances are excellent. Normally I’m a sucker for Beethoven on period instruments–I like the sense of instruments being played to the limits of their expressive potential that you often get when fortepianos and gut-strung violins or cellos are used in the interpretation of music from the Romantic period. And there’s no question that Zipperling and Vodenitcharov play these two sonatas (plus two themes with variations) expertly. 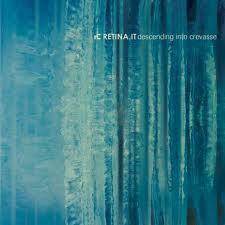 But in this case there seems to be a little something missing from the core of the sound. This is a valuable recording for pedagogical purposes and is recommended on that basis, but probably won’t be my go-to recording when I’m looking for a transcendent Beethoven experience. 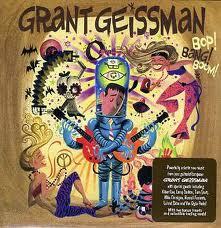 TV composer and studio guitar whiz Grant Geissman has racked up a lot of IOUs over the course of his career, and he seemingly calls in all of them on this stylistically scattershot but highly enjoyable album. GuestTom ScottLeland Sklar (among many others), and the mood ranges wildly from simmering bebop to slippery New Orleans funk and laid-back balladry. Geissman’s sound is as slick and colorful as the deluxe packaging, and there’s something for just about everyone on this program. Of course, “something for everyone” means that no one will like everything on this album equally–but honestly, I have a hard time identifying any truly weak tracks. 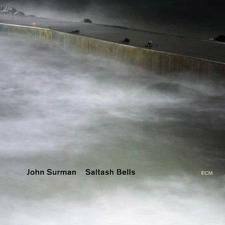 When reedman John Surman makes a solo album, it’s always a treat–and he does it all too rarely. This is his first in 18 years, and it’s brilliant. Sometimes he puts saxophone, clarinet, and synthesizer parts on top of each other in shimmering layers, and sometimes he simply plays an unadorned melody line, and at others he writes multi-part horn pieces that dance and bop around each other. There are moments of deep melancholy and passages of lyrical joy, and the whole thing is really quite a special listening experience. For decades, banjoist Béla Fleck has been crossing the “imaginary divide” that separates the five-string banjo from all genres of music except for country and bluegrass, demonstrating the instrument’s potential to make just about any kind of music, most notably jazz. Here he teams up with celebrated pianist Marcus Roberts to create an album of original compositions (half of them his, half of them Roberts’) in a variety of styles, from slow-swinging Latin to funk and swing. And bluegrass, actually. They play not only with effortless expertise (a given), but also with humor and grace. Highly recommended. All you really need to know is that this disc consists of 27 fresh transfers of recordings made by Bix Beiderbecker’s legendary jazz ensemble for the Gennett, Brunswick, Claxtonola, and Vocalion labels in the mid-1920s, when this band was beginning to carve out a space in the popular consciousness for jazz as concert music, not just dance accompaniment. 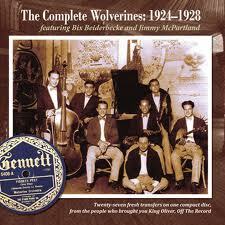 In addition to the Wolverines, there are pairs of sides by Bix & His Rhythm Jugglers, and the Sioux City Six. All are essential, and have been transfered with minimal sound processing. 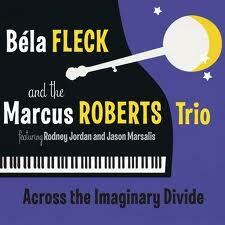 No jazz collection should be without this disc. 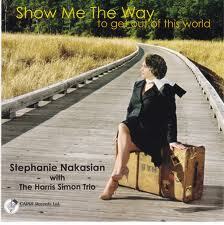 Stephanie Nakasian has one of those lemonade voices: colorful but clear, sweet but with a tangy edge. Here she teams up with pianist and composer Harris Simon and his trio to deliver a solid and very enjoyable program of standards (“Lucky So-and-So,” “I Concentrate on You,” “Spring Can Really Hang You Up the Most,” etc.) plus a couple of curveballs, including a startlingly fine interpretation of Van Morrison’s bluesy “Times Are Gettin’ Tougher Than Tough.” Very nice. 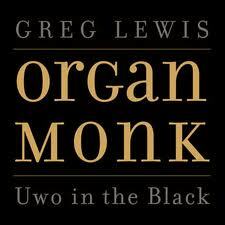 For the second instalment in his Organ Monk series, keyboardist Greg Lewis takes on ten Thelonious Monk tunes both familiar (“Thelonious,” “Crepuscule with Nellie,” “52nd Street Theme”) and less so (“Stuffy Turkey,” “Humph”) along with four original compositions. You can hear his gospel background and his love of classic bebop particularly clearly on his originals (which, it must be said, are a bit uneven), while he brings a truly unique perspective to the Monk tunes–which is always welcome, given how familiar many of these pieces are. 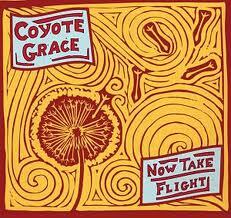 Not only does he make original note choices, but his arrangements can be startling as well: notice in particular the stretched-out intro to “Skippy.” Recommended. The album title and the cover image might lead you to expect raw and primarily acoustic blues, and you’d be exactly right. 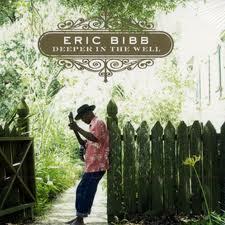 Well, almost exactly: while a Delta blues sound is fundamental to Eric Bibb’s musical concept, you’ll also hear hints of Tin Pan Alley, country, and Cajun traditions, none of which should be surprising given that the album was recorded at the Southern Louisiana studio of multi-instrumentalist Dirk Powell. 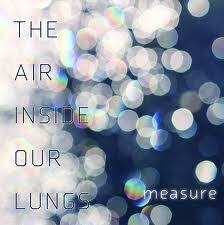 There’s also Quietly intense and alternately grim and joyful, this is an unusually fine album. A new Blasters record is always cause for celebration, even if singer Phil Alvin has lost a bit of his high range and even if guitarist and songwriter Dave Alvin is off pursuing a solo career. The remaining three original members (plus guitar hotshot Keith Wyatt) can still hold down a variety of roots-rock grooves with sweaty aplomb, and Phil’s voice is still a joy to hear. 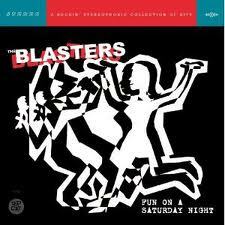 Fun on Saturday Night is a collection of covers from the blues, rockabilly, country, and R&B books — stuff by Magic Sam, Tiny Bradshaw, and even old-time fiddle legend J. E. Mainer, and there’s a south-of-the-border adaptation of the Blasters classic “Marie, Marie.” Watch for the cameo from Exene Cervenka. 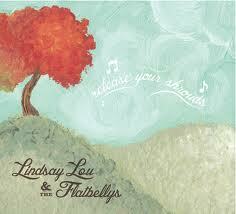 If you’re not already a fan, this album will make you one. 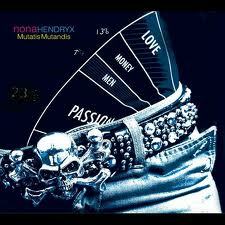 Remember Nona Hendryx? If you’re 40 years old or so, then you probably do, whether from her solo work, her recordings with Labelle, or her collaborations with such downtoan NYC acts as Material and Laurie Anderson. Twenty years since her last solo album she’s back, and she seems to be a bit agitated: songs like “Tea Party,” “Oil on the Water,” and “The Ballad of Rush Limbaugh” give you some idea of what to expect. But the heavy politics don’t weigh down the grooves, which, apart from the leaden “Rush Limbaugh,” are funky and soulful and tons of fun. There are still hints of the 80s in her sound, but Hendryx seems to have moved pretty much effortlessly into a new musical era. Producer Barry Lynn, now working under the name The Host, doesn’t use computers. Instead, he puts together sonic Rube Goldberg constructs that utilize desperately out-of-date analog synthesizers, drum machines, and effects. Anyone who remembers the 1980s will hear constant reminders of that period emerging from the sonic kaleidscope on this album: bloopy Syndrums, cheesy arpeggiators, tinny high-hat approximations and laughably fake handclaps. It’s all great fun, of course: “Neo-Geocities” is a weird and sloppy but thoroughly enjoyable mess consisting of Casio-level electronics thrashing around over a stentorian dubstep bassline, while “Angel Fire” flirts with straight-up dubstep before veering off into glitchy retro-ambience. There are times when you wish that a bit more structure or maybe even some actual melody would poke through the murk: for all of their textural complexity, tracks like “Tryptamine Sweep” and “Second Life” would be even more compelling if they had more of substance to say. But on the other hand, the utterly gorgeous “Birthday Bluebells” ends the album on a note of contemplative ambience that recalls Bill Nelson at his Gnostic best and seems to say everything there is to say by saying nothing at all. 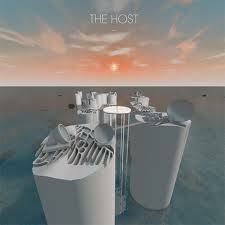 This album came seemingly out of nowhere and swept me off my feet. It’s built out of contradictions: bandleader Laura DiStasi’s vocals are breathy but powerful, the arrangements are beat-focused but lusciously tuneful, the production is soft but strong. It’s very unusual for pop music to be this easy on the ears and simultaneously this interesting. Highly recommended to all pop collections. 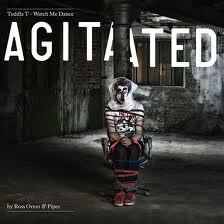 I was very excited to hear the new Toddla T album, Watch Me Dance, when it came out last year. Too excited, it turned out: I was disappointed. Not having learned my lesson, I was then even more excited when I learned that Ninja Tune had commissioned a remix of the album by Sheffield legends Ross Orton and DJ Pipes. But this time I wasn’t disappointed at all: the beats are varied and bouncy, the vocals are nicely dubbed-up, the textures alternately colorful and dark. You’ll hear elements of hip hop, dubstep, techno, and UK garage here and there, but nothing fits comfortably into any dance-club clichés, which always makes me happy. Recommended. 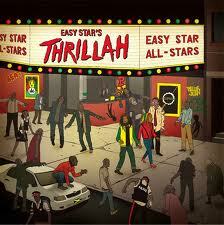 The latest instalment in the Easy Star label’s ongoing series of reggae versions of classic rock albums (cf. Dub Side of the Moon, Sgt. Pepper’s Lonely Hearts Dub Band, Radiodread) takes on a somewhat more challenging target: Michael Jackson’s R&B classic Thriller. What makes it more challenging is that the funky rhythms of Jackson’s album resist being recast in reggae mode a bit more stoutly than do the relatively square beats of the Beatles and Radiohead. But the album works anyway, partly because the Easy Star All-Stars are such pros, and partly because some of these songs (like “Human Nature” and the title track) actually adapt very readily. Maybe not an instant classic like Dub Side of the Moon, but very worthwhile nevertheless. Franco-Malian rapper Mokobé Traoré was a founding member of the Parisian hip hop crew 113, and has now made two solo albums that blend elements of traditional West African music with modern Euro-rap and occasional Caribbean influences (neo-roots reggae singer Jah Cure makes an appearance here). 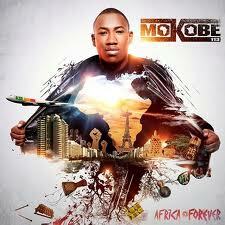 Like most hip hop albums, this one is a bit bloated, but among the filler are lots of really impressive highlight tracks, such as the rock-hard “50 CFA” and the gorgeous “Mamadou & Fatou.” Mokobé’s flow is impressive, and he has gathered exceptional beats from a nice variety of producers. Recommended. One of the more interesting twists in European ethnomusicological history is the existence of an island of Celtic musical culture in Galicia, on the northwest coast of Spain. 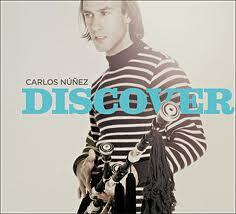 And perhaps the most famous and commercially successful avatar of that culture is Carlos Nuñez, a bagpiper and recorder player who sells records at platinum levels and has recorded with a jaw-droppingly wide variety of collaborators, including Ry Cooder, Jackson Browne, Laurie Anderson, Los Lobos, Jordi Savall, and Ryuichi Sakamoto. (Also the Chieftains, but that’s not surprising; everyone who has ever picked up an instrument has recorded with the Chieftains.) This two-disc collection provides a good overview of Nuñez’s work over the past couple of decades, and if much of it seems a bit slick and commercial, it’s also consistently fascinating. 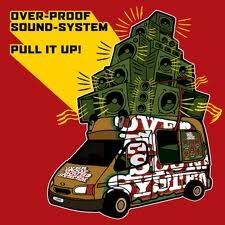 Born ten years ago as a club night in Birmingham, England, the Overproof Soundsystem eventually turned into a performing outfit that now tours Europe constantly, playing an updated version of conscious dancehall reggae incorporating elements of hip hop, techno, and whatever else it takes to keep the vibes complex and the people dancing. 2004’s Nothing to Proove was a brilliant full-length debut, and Pull It Up! keeps to the same standard: elephantine grooves, sharp deejay performances from Messenger Douglas, uplifting lyrical sentiments. Highly recommended to all reggae collections.